Windows 10 is a personal computer operating system developed by Microsoft. During 1970’s we use to rely on type writers for typing and now we have seen the evolution of windows. In 1975, Gates and Allen invented a partnership called Microsoft. Every year there was a gradual change in its working. 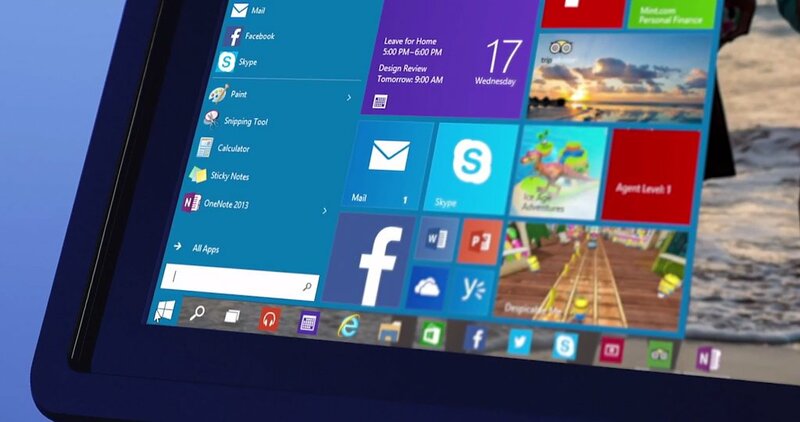 Windows 10 is gaining its popularity day by day. Its interface and design: There are many new interface and designs in Windows 10 as compared to the other versions of widows.Windows has not only refreshed the look of the setting but also has redesigned the icons to make it quite convenient and easy to use. The design is quite attractive to look at. Its new task view: There is a new button on the task bar that will open the task view on the full screen and will display all the windows that are currently open. Its notification centre: The notification centre will display various notifications on the top of the bar also there will be a set of commonly used function buttons on the bottom. Both the function and notification could be customised by the user. When you press the taskbar a new notification will appear on the right side of the screen. Its start menu: Microsoft has changed the coloring and formatting on the menu. The power button and the frequently used buttons have been re-arranged. Now users can remove and add app in it. The Cortana: Cortana plays a vital role in windows 10. It’s a new clever personal assistant. It helps you find files and folders in your PC. It manages your colander, chats with you and tracks packages. It is of great help to us. Ask anything and it full fills your queries. The Microsoft Edge: It was previously known as Project spartan. It is a new way of experiencing web. Write, draw and directly take notes on web page. Microsoft claims that it is designed to be a light weight web browser. It does not support any other plug-in. It is a default web browser on windows 10. Edge would use a new exclusive engine, while the Internet Explorer would continue providing the legacy engine. Its reading view mode: It helps speeding up and improves your PC life. Help focusing on the content of the website. By enabling reading view mode, the page turns into PDF style document and which becomes easier to read and understand. Continuum: It provides a seamless experience between the mobile and PC. Once it detects that the keyboard has been detached from it, it automatically switches to mobile mode. I this way the user find it very convenient to use. The universal app for PC: Microsoft is completely devoted for developing all new universal app for the user. The universal app for PC provides us with such an app that would run in different devices such a mobile or PC. It is quite user friendly. Xbox: Xbox includes games in it. It allows the users to play game in PC, mobiles and tablets.